Myth #1 – Accurate Pumps Can Only Be Found in Newer Gas Stations: The age of the pump used in gas stations does not really matter. Each state has a Weights and Means department that is responsible for setting the standard when it comes to measurement and the quality of the fuel. Officers regularly inspect dispensers. When a dispenser passes an inspection, a sticker is placed on it; if it doesn’t, then measures will be taken to make sure that it is repaired properly. Myth #2 – Gas is Denser in the Morning: The time of day has absolutely no effect on the volume of gas a pump dispenses. Density is defined as the ratio of mass to volume and while it’s true the density of a liquid will increase when temperatures drop below 40 degrees F, the gasoline being pumped out of the ground is dispensed at a uniform (ground) temperature which is independent of the ambient air temperature. Also, gas pumps do not measure the density of fuel concentration, instead it measures the volume of gas. In other words, you are charged not on the density, but on the volume of measurement of the liquid. Myth #3 – Utilizing the AC Will Reduce Fuel Economy: Your father might have told you to turn off the A/C in the past. While it is true that the A/C can eat up power, the effect is minimal when it comes to modern vehicles. Then there is the fact that when you put the windows of your car down, that would increase the drag which would take away any gain that you might have from turning off the A/C. Driving with open windows is just the same as driving with the A/C on according to Edmunds.Com. Myth #4 – Avoid Filling Up When a Tanker is On Site: There’s no arguing that when a tanker fills a station’s underground tanks, it’ll stir up any deposits at the bottom of the tank. However, the gas station’s filters should remove any sediment well before it reaches the nozzle, meaning it will not clog your car’s gas filter. Also and as described in Myth #1, the Department of Weights and Means not only inspects the pumps, but it periodically takes fuel quality samples for chemical analysis to ensure that the station meets state and national legal requirements. Myth #5 – Only Buy Brand Name Gas: It’s important to note even before addressing this myth that simply stated, octane is a measurement of how hard it is to ignite the gas and has nothing to do with the quality of the gas. With that said, one prevailing Internet theory holds that “top tier gasoline stations” provide a higher quality gas which will yield better economy. The fact is that most brands of gas come from the same refinery for a given region – only the company’s specific additives are different. So check with GasBuddy.Com and buy from the least expensive source, which is usually found at an independent station. Myth #6 – Parking in the Shade Will Stop Gas from Evaporating: We don’t know where this one originated, but it’s totally bunk too. 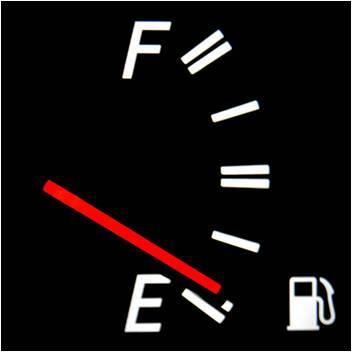 Modern cars have closed loop systems so gas from a regularly used vehicle will not evaporate from the tank resulting in poorer gas mileage. 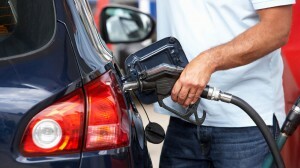 Myth #7 – Using a Higher Octane Will Improve Fuel Economy: When deciding on what grade of gasoline to use, we recommend first reading the owner’s manual to determine if a particular grade of gasoline is “required” or if it’s “recommended.” If it is recommended, a lower grade of gas could be used if you’re willing to accept a slight reduction in performance. Most modern cars have a sophisticated engine management system that is the equivalent of having a laptop under the hood your car. The EMS controls the knock sensors and will protect the engine from pre-detonation that can cause internal damage. Therefore, we recommend using the lowest octane gas that won’t make your engine knock. Myth #8 – Keep Wheels Aligned for Better Mileage: It is important to regularly inspect suspension and chassis parts for damage and misalignment, and get a wheel alignment to save your tires. In addition to just being unsafe, bent wheels, axles, bad shocks, broken springs, etc. will increase fuel consumption by creating a drag on the engine. But while a misaligned car will ruin a perfectly good set of tires, it has minimal affect on fuel economy. Myth #9 – Additives Don’t Work: For the most part, this is a true statement. However, bogus gas additives that promise phenomenal performance and improved gas mileage – often referred to as “snake oils” – should not be confused with legitimate products like Chevron’s Techron or BG’s 44K, which are designed to clean the entire fuel system. Normal wear and tear, high temperatures and poor quality gasoline can contribute to a buildup of olefin wax, dirt, and carbon on the fuel injectors, all of which inhibit performance. Using a proven fuel injection cleaner at least once a year will remove these deposits and help improve the efficiency of your engine. Myth #10 – A Clean Car Will Provide Better Gas Mileage: While the remains of a thousand bugs plastered across the front of your car isn’t very attractive, it really won’t adversely affect the aerodynamics or the fuel economy. As an aside, by regularly cleaning your car, hopefully you will notice things like underinflated tires, dirty or clogged air filters, or other gas-robbing issues which will ultimately affect fuel economy.